To be fair, Google has released a limited number of apps overall, but they are some truly unique uses of the system. Each of the applications listed below can be downloaded by clicking thru and scanning the QR code with a barcode or QR reader. Finance – Streaming real-time stock quotes directly to your phone and it syncs directly to your Google Finance account to display your portfolio. Google Earth – Like the desktop app, you can navigate a 3D representation of the Earth and search for different locations and overlay with layers containing different datasets. Google Goggles – Like the Shopper app, Google Goggles can take pictures of anything, but unlink Shopper, Goggles does a full search based on the captured image. Goggles tends to work best with well well defined logos. Google Maps – Find yourself wherever you are, search for things around you and get directions to it. The navigator is a great turn by turn direction GPS and the layers can show extra information like the current traffic conditions. Google Sky Map – This augmented reality app is still my favorite demo app for the Droid. Point the app at the sky and see the constellations that are overhead. Google Translate – By typing or speaking a phrase into the phone and selecting your language, the phone will translate to the language of your choice and can also say it out for you with the press of a button. Google Voice – If you have a Google Voice account, you can make phone calls, send and receive sms text messages, and listen to or read transcripts of your voicemail messages. Listen – As I mentioned in Music, Audio and Radio Apps on the Droid, Google Listen will let you download and stream audio podcasts directly to the Droid. You can also subscribe to your favorite podcasts so you don’t miss an episode. My Maps Editor – Create, edit, share and view your own personal maps that can be synced with your My Maps tab on Google Maps. Additionally, you can mark your location and add pictures to your maps. Orkut – For users of the Orkut social network, there is an app like the Facebook app that will allow you to access site features, upload pictures, etc. Scoreboard – Get sports scores, schedules, standings and news about your favorite sports teams in Auto Racing, Baseball, Basketball, Cricket, Football, Golf, Hockey, Rugby and Soccer. Shopper – Like the ShopSavvy app, you can scan barcodes and get local and web prices of things, but the Shopper application also allows you to scan the covers of books, cds, dvds, and video games in addition to the barcodes, plus a voice search that will allow you to speak the name of what you want to search for. 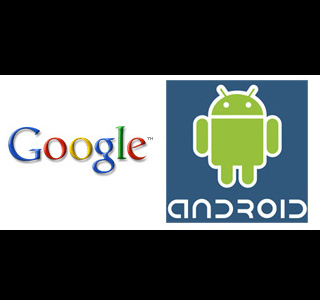 Google has made some fairly groundbreaking applications that utilize the Android operating system in different ways. It inspires other developers who see what can be done with this technology and give them the inspiration to take what they’ve seen by the company who originated the phone and give them inspiration to attempt to outdo Google in new and unique ways.